Anyone with even a passing interest in wine not interested in looking at what South Africa is producing today needs their head examined. From fresh and defined white wines to red wines with elegance and finesse, regal sweet wines and top notch fizz, the Cape has it all and the wines are only going to go from strength to strength as this happy and collaborative bunch hone their techniques even further. 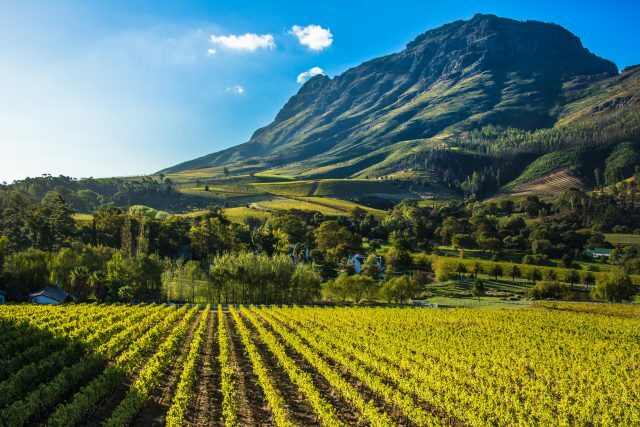 The South African industry is not without its problems – as examined by the drinks business here – with profitability a major issue across the winelands and precious old vine material being lost at a terrible rate. Yet there has never been better time to buy South African wine. Not only is the quality on the up but the exchange rate is ludicrously in our (the UK/US/Europe’s) favour. For the on-trade it offers food-friendly wines at excellent value as well as Pinot Noirs and Chardonnay that are rapidly becoming more expensive and harder to source from more ‘traditional’ sources. For the off-trade there is that magic mix of affordable wines for everyday drinking pleasure and some seriously smart wines that merit cellaring – and which still don’t cost the earth. It’s an industry that deserves support and attention, not as a charity case but on its own merits. The ‘bad old’ days of South African winemaking are, if not totally eradicated, receding into the past at a cracking pace and the wine world is only going to benefit as a result – as long as South Africa does too.